What do the “big time” injury and disability lawyers in your market know that you don’t? When it comes down to it, just having great service isn’t enough to grow a 7-figure law firm (though it is a HUGE piece of the puzzle). The big difference-maker between the immensely successful law firms vs. the ones that are just getting by, fighting over the scraps that the 800-pound gorillas are leaving behind is MARKETING. Law firm marketing is one of the most competitive and misunderstood art forms in business. Unfortunately for injury lawyers, it’s also one of the most expensive if you’re getting it wrong. That’s exactly why PILMMA was created for YOU in the first place. Attorney Ken Hardison built (and eventually sold) TWO 7-figure law firms from scratch. He tested every law firm marketing and management strategy in the book, on his way to success. PILMMA is your shortcut in time and dollars to building the law firm you dream about because you won’t have to spend the same time and money – figuring out how to do it on your own. The roadmap has been created. The blueprint is drawn up. All you have to do is try a PILMMA membership today (which comes with a 90 day 100% Satisfaction Guarantee) and implement everything we lay out for you. Have a look at everything you get in a PILMMA Gold Membership below and become a member today! ***If you really mean business. And, you’d like to jump 50 steps ahead of where you are now, click here to learn more about our Mastermind Groups. PILMMA’s Monthly Q&A Call: Stop Trying to Figure Out How to Market a Law Firm on Your Own! Members’ Toolkit: Learn How to Market Your Law Firm and Manage for Success All in One Place! What are the Law Firm Marketing & Management secrets of the top Injury and Disability Firms in the country? Mastermind Groups provide members with a winning short-cut to success while avoiding the expensive pitfalls of attempting to go it alone. Fellow Group members act as both a ‘board of advisors’ and a support group, giving encouragement to reach new levels of success. After just one of our Mastermind meetings, you’ll see WHY and HOW this membership level breeds SUCCESS. You’ll meet other group members behind closed doors for two to three days, giving each of you a chance to raise any issues you want solutions to, while offering the benefit of your own experience when other members raise their own challenges. Would a 28 percent increase on the return on investment of your marketing dollars make a difference in your practice? Of course it would! Any lawyer worth their sheepskin would give their eyeteeth to get an increase of even a fraction of that return. But what “any lawyer” doesn’t know is that a 28 percent increase is NOT that difficult to achieve! In fact, our average Mastermind member does just that – pulls in a whopping 28 percent more on every dollar spent – less than one year after putting this valuable knowledge to work. Many actually achieve even higher returns. (And, they all got to keep their eyeteeth.) Nothing else comes close to performing this reliably, this consistently, this quickly, for law firms like yours. Guaranteed. That’s because our job – our sole guiding mission – at PILMMA is to do one thing: Dramatically increase your return on your marketing dollars, while providing you with all the wickedly effective strategies, methods, techniques and tactics used by the most successful law firms in the country. Ingenious knowledge proven to drive massive revenues straight to your bottom line. It’s all we do, and we do it better than anyone else in the country. In fact, I’m so confident we can help you throw open the floodgates to a torrent of quality cases and create an explosive increase to your bottom line – just as we have done for hundreds of other contingency-based lawyers – that I’ll take your Mastermind membership on contingency. That’s right. We either perform – and you start pocketing more money than you ever have before in your law firm – or you don’t pay. Not a single cent. Zip. Zero. Nada. I’ve practiced contingency law for more than 30 years. I like the model. In fact, if PILMMA were a contingency-based program instead of a flat-fee membership program, we would be pulling in millions of dollars each year from our members. Tens of millions… just on the increase in their profits alone. But, that’s not where my motivation lies. Instead, I apply the contingency model not to the profits you will make (that’s all yours to keep), but to your membership fees. Here’s the deal: If after one year of membership, you don’t feel you received at least a 10x return on your membership investment, then we have no business billing you for our services. You read that right. If you are not completely satisfied with the benefits to you from the information and services we deliver – and you’ve implemented at least one of our strategies, tactics, ideas and methods – but you didn’t get those same results at the very minimum … we will gladly, and immediately, refund every cent you have paid PILMMA. That is my “Iron-Clad, Zero-Risk, All-Your-Money-Back Guarantee” to you. 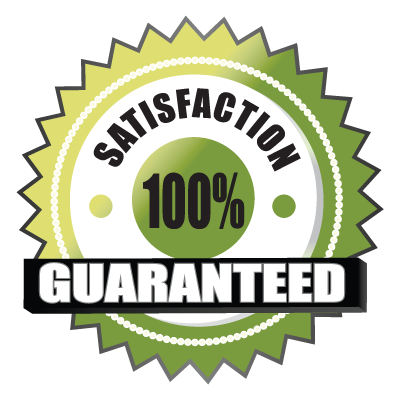 What other organization is willing to offer you that guarantee? NONE!! PILMMA is the only Lawyer Association willing to put our wallet where our mouth is. And, invest an entire year in you and your law firm, working side-by-side to create a white-hot level of success that fills your bank account and leave competing firms shocked and confused. But, don’t take my word for it. As lawyers we make our living on the proof, so I encourage you to investigate. Take a look at testimonials from present members, lawyers just like you who were skeptical at first, lawyers who are happy to tell you about the breakthrough results they’ve enjoyed after joining PILMMA. Depose them. Ask them for evidence. I guarantee their testimony will hold up under your scrutiny. The bottom line is this: I could hammer you with crafty sales writer pitches and dazzle you with $100 words all day, but that’s not what we do. (Besides, your “bull” meter is too finely tuned for that.) So, if making more money on your marketing investment and attracting more high-quality case is NOT what you want to do, then don’t accept the offer I’m about to make you. You can stop reading right now. I’ll personally hand you the keys to the vault containing our entire wealth of profit-building secrets, and you can use any and all of it – without giving a single red cent. Put everything to work for you and your firm. Apply some of the easy-to-implement strategies that our members gladly pay to have access to … and see what happens. If you’re like the rest of our members, after putting just one tactic into place, you’ll see a boost in revenue. Now imagine having access to that golden goose all year long. Forever.